From Everest to K2, The Girl Who Climbed Everest is the story of Bonita Norris' journey undertaking the world's toughest and most dangerous expeditions. Once an anxious teenager with an eating disorder, it was the discovery of a passion for climbing that inspired Bonita to change her life. Drawing on her experiences to capture the agonies - both mental and physical - and joys of her incredible feats, Bonita also imparts the lessons learned encouraging you to harness greater self-belief. 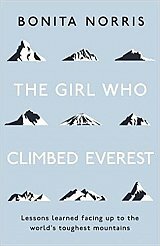 The Girl Who Climbed Everest is an honest exploration of everything Bonita has learnt from climbing. Life lessons about ambition, values, risk, happiness, the courage to fail, and what's ultimately important. 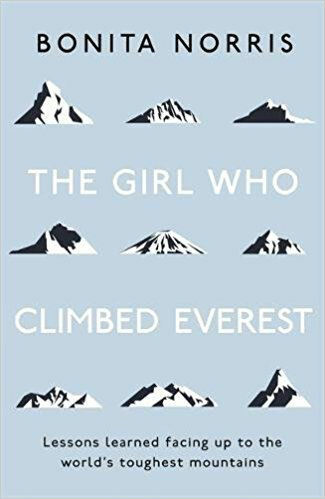 An indispensable and important book for anyone who has ever doubted their potential or put limits on themselves - whatever challenge you face or ambitions you want to achieve, The Girl Who Climbed Everest will inspire you to take action and live life more fearlessly.